LaTeX-bypass software liberates academic and commercial researchers in universities and central banks around the world to produce professional scientific papers (PDFs) with online computation using intuitive Windows/Mac interface: from editing screen to printed page (below). How will Scientific WorkPlace help you? This demo includes graphs, matrices, factorising, integration, simultaneous equations and 3D plots using Scientific WorkPlace 6. The video lasts 6 minutes – please watch in HD. Would you like to try Scientific WorkPlace now? Click... (3 steps to install) Or watch the videos on our Scientific Word and New Features pages first? Scientific WorkPlace Version 6 makes writing, sharing and typesetting mathematical and scientific text easier than you ever imagined. This is an easy-to-use word processor that integrates mathematics and text in the same environment. The embedded MuPAD 5® computer algebra engine in Scientific WorkPlace	6 allows the user to perform computations on the screen, and to print them out correctly formatted. Scientific WorkPlace 6 continues to be a front-end for the LaTeX typesetting program which is used to typeset complex technical	documents. This means that you don't have to learn the LaTeX syntax. 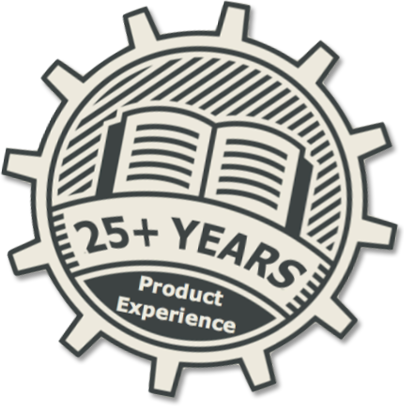 Because of its superior precision and quality, LaTeX is the gold standard for publishers and authors of scientific papers and books. In XML and XHTML files, Version 6 represents your mathematics as MathML. This makes it easy to create XHTML web files for the representation of your mathematics on various platforms over the Internet with a browser. The recommended browser for	Version 6 is Firefox, not Scientific Viewer. Scientific WorkPlace 6 gives you multiple document production options. You can choose whether to preview or print directly from the program window	when you are ready for output, or you can view your document in a browser. With Scientific WorkPlace you can typeset your document when you need the extensive document formatting that LaTeX and pdfLaTeX provide. Also new is the ability to check your spelling in realtime. With the inline	spell checking from MySpell, you can catch any misspellings. MySpell, which is open-source, includes dictionaries in over 40 languages. Misspelled words have a wavy red underline. Scientific WorkPlace 6 gives you improved and scalable fonts. Use pdfLaTeX or XƎTEX to create documents with a wide variety of scalable fonts. With XƎTEX you can use any OpenType font installed on your computer, as well as Unicode and associated extended Unicode TrueType fonts. The program includes the latest version of LaTeX and AMS macros. The packages yield ligatures and kerning in all text when documents are typeset. 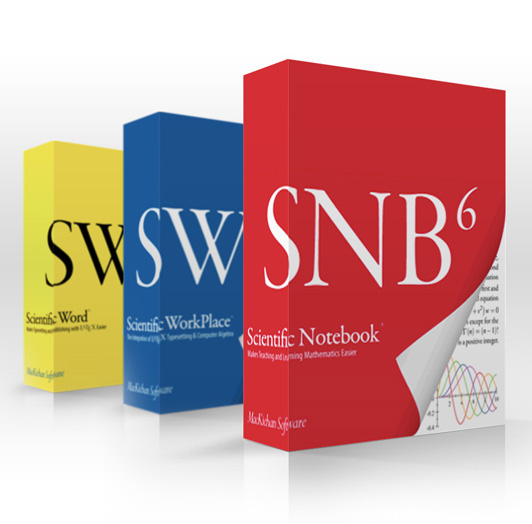 Scientific WorkPlace 6 uses natural mathematical notation, so you don't have to master complex syntax to be able to evaluate, simplify, solve, or plot mathematical expressions. Full computer algebra capabilities are available. You can compute symbolically or numerically, integrate, differentiate, and solve algebraic and differential equations. With menu commands you can compute with over 150 units of physical measure. The manual, Doing Mathematics with Scientific WorkPlace and Scientific Notebook Version 6 by Darel W. Hardy and Carol L. Walker, describes the use of the underlying computer algebra system for doing mathematical calculations. In particular, it explains how to use the built-in computer algebra system to do a wide range of mathematics without dealing directly with MuPAD syntax. This manual is available as a download. While you are doing the work of creating content, you do not need to be distracted by formatting tasks. Scientific WorkPlace 6 does that work	for you. With so many available output options, each with a different purpose and appearance, taking the time-consuming approach of trying to make the document on the screen look as much as possible like the printed document is simply not necessary. This screencast covers basic editing and manipulating document structure using Scientific WorkPlace 6 and Scientific Word 6. Much of it also applies to Scientific Notebook 6. This video lasts 20 minutes and is best viewed in HD. The second screencast, "New Features", is here.